The roof has collapsed, it seems but so far, no injuries have been reported. Amazing pictures on BBCNews. The roof is gone but the scaffolding is still in position. Horrendous. Just horrible to see. Being from the Paris area, this is a monument I grew up with. The heartbreak is immense. 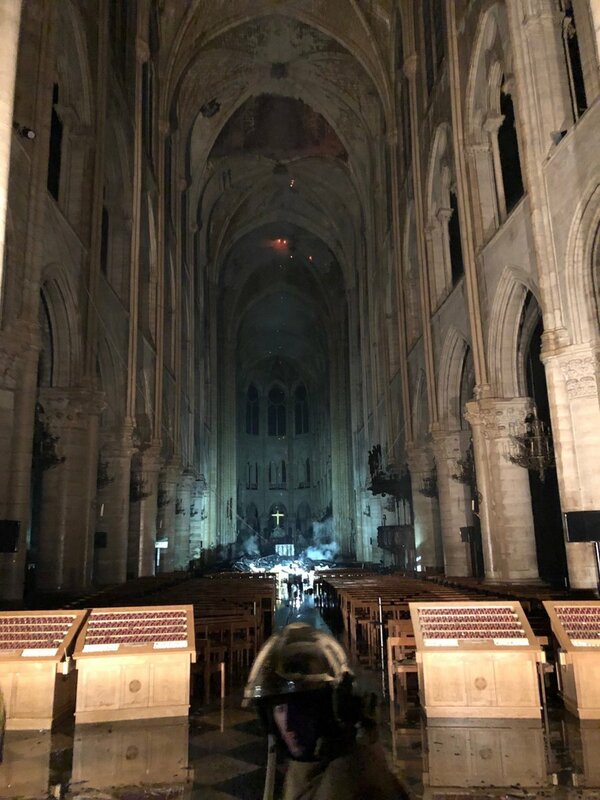 French media reporting they do not know yet whether parts of the cathedral can be saved. We might wake up tomorrow with it entirely gone. It will be rebuilt. From scratch if necessary. By the looks of it, the scaffolding is beginning to buckle. ​​​​It has done well to last this long. I'd have my doubts. And no French President is going to be able to be seen to squabble about it - particularly one at as low an ebb as Macron. It's terrible to think thought that it's gone, however accurately its restored. The skill of the men who built that roof by hand, the techniques of those who produced such vivid stained glass through their own form of alchemy. Standing in that building was a connection with men who, 850 years before and working with rudimentary technology, had produced what you saw around you. A link through hundreds of generations, and vast, beautiful human effort to escape our own ephemerality. To us, any restoration will be a simulacrum. But maybe the cycle just starts again. 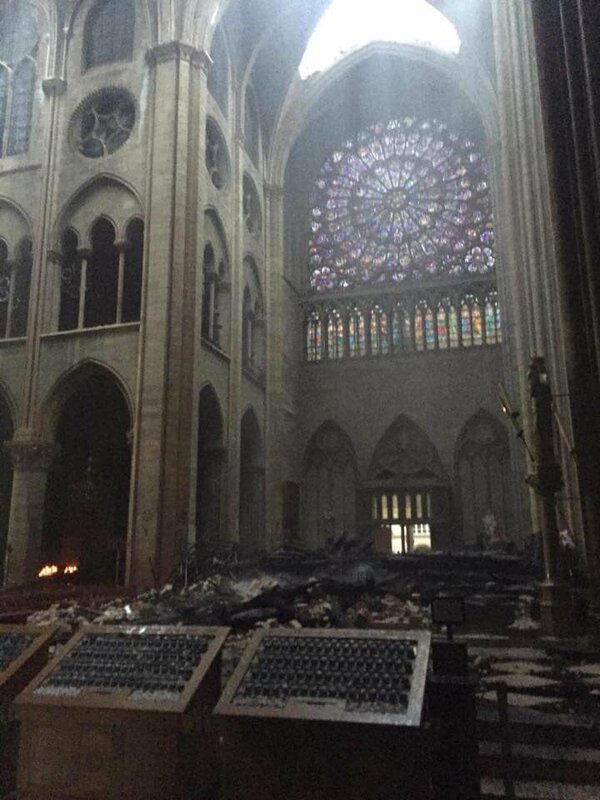 Paris without Notre Dame is unthinkable. It's resurrection will be and epic 100-year project involving the best crafts experts on the planet and technology we can barely imagine - the entire structure was laser scanned a few years ago, inside and out, so a 3D map of every detail, many unseen before, is available. And like many of our greatest buildings, it is a layer cake of work done over centuries by many generations. Much of the fabric destroyed belonged to the last big renovation if the late 19th Century. I used to love visiting this building when I visited Paris. I remember the first time I went there I got an awful eerie/haunted feeling about the place, But more recent visits I enjoyed more. I love old building and I get to see quite a few as part of my work. No hot works or flames tends to be the order of the day for contractors working on these jobs. I hope its not someone cutting corners that has resulted in the disaster.